Buy from "BenThai Products". We pack in Original Packaging & Signature gift. 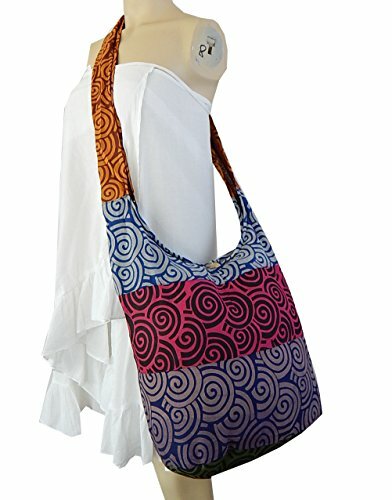 A universal tribal swirl pattern is featured in this hobo carryall made of durable but lightweight cotton fabric. Zippered compartment and a zippered inside pocket then reinforced in the base of the bag. We use left over fabric for this bag. Due to fabric cutting, there may be some variation to the colors and pattern layout. Buyer may receive colors different than in in the picturs. If you have any questions about this product by BenThai Products, contact us by completing and submitting the form below. If you are looking for a specif part number, please include it with your message.